CHUG | Meet our Keynote Speaker! Remember, the Super Saver Discount Ends Today - Register Now! Meet our Keynote Speaker! Remember, the Super Saver Discount Ends Today – Register Now! CHUG Hotel Room Block Closes Today! Register NOW! Earn up to 11.0 Contact Nursing Education Credits. 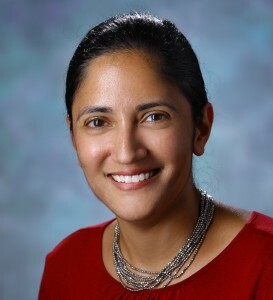 Dr. Patel was previously a Director of Policy for The White House under President Obama and a senior adviser to the late Senator Edward Kennedy. Her prior research in healthcare quality and community approaches to mental illness have earned national recognition and she has published numerous papers and book chapters on healthcare reform and health policy. She has testified before Congress several times and she is a frequent guest expert on NPR, CBS, NBC, and MSNBC as well as serving on the editorial board of the journal Health Affairs. Healthcare organizations are confronting considerable changes in the journey of transformation. As we move along this path you will not want to miss “Quality is the New Currency“! We will be introducing exciting new leadership and teamwork resources this Fall! BE the leader your employees WANT to follow. A leader steps up in time of crisis and is able to think and act creatively in challenging situations, to inspire staff to perform and engage in achieving common goals. It’s about knowing your team, having a shared vision, and setting staff up for success. To survive in this complex, ever changing market requires a strong, passionate and innovative team. As an attendee you have the opportunity to gain knowledge, tips and tricks for multiple education sessions and collaborate with 600 plus healthcare professionals. Application for CME credit will be filed with the American Academy of Family Physicians. Pre-conference classes also open for registration! 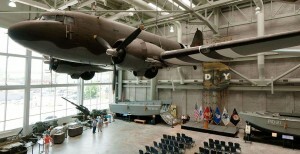 History buff or not, the National World War II Museum offers and experience that everyone will enjoy. Opened on June 6, 2000 (the 65th anniversary of D-Day), this museum is home to an impressive collection of artifacts and educational films documenting all aspects of the way, from D-Day to the war in the Pacific to the Holocaust. Located on Magazine Street in the Warehouse District and opened daily from 9 a.m. to 5 p.m., this NOLA highlight promises a unique educational experience. When in New Orleans, Po’ Boys are a must eat. These sandwiches were first created to feed striking streetcar workers in 1929, many of whom were unpaid, picketing laborers free of charge (hence the name). 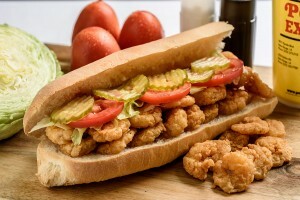 Po’ Boys are served on crusty French bread and filled with roast beef and fried seafood (typically shrimp). Popular dressings are lettuce, tomato, pickles, and mayo. Johnny’s Po’ Boys is the best place to try these iconic sandwiches. Operating in the French Quarter since 1950, this family-owned lunch counter has nearly 50 different Po’ Boys. https://www.centricityusers.com/wp-content/uploads/2017/09/CHUG-Fall-2017-Discount-Ends-Today-Blog.jpg 237 710 julie_e https://centricityusers.com/wp-content/uploads/2014/06/new_chug_logo.png julie_e2017-09-25 15:51:412017-09-25 15:51:41Meet our Keynote Speaker! Remember, the Super Saver Discount Ends Today - Register Now!